Throwing paint, spilling paint, recycling paint, painting on found canvas and things, or things that serve as a “canvas”, that and the ongoing What Price Art question. “Part of an ongoing series of paintings on top of marks made by others. 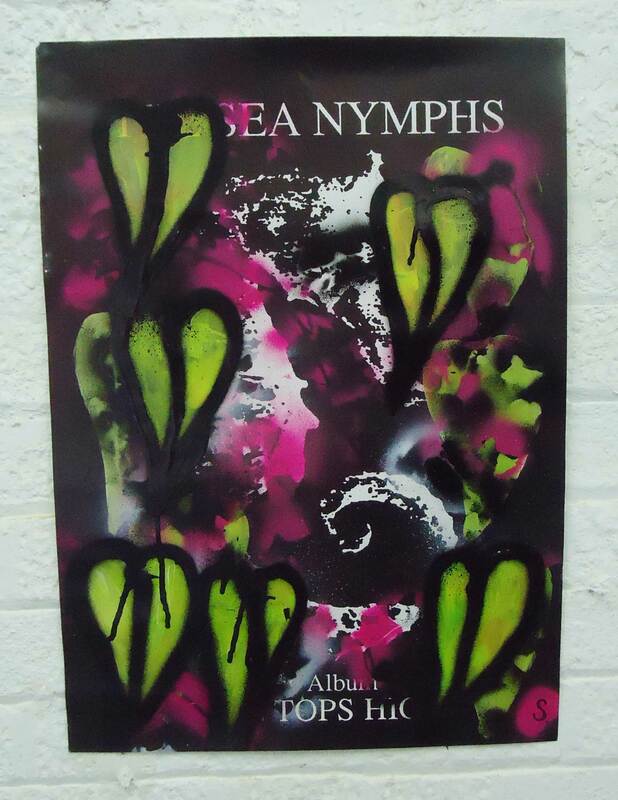 An old glossy promo poster from the 1990s, a promo poster for excellent Cardiacs off-shoot band Sea Nymphs. Painted on. This is a one off signed piece of art” Sea nymphs are a band we worked with quite a bit a few years ago, released a single, put on a few gigs, organised John Peel sessions and such, that was then though, this is now, and old posters are for painting on. TRACIE ANGIOLINI, one of our regular visitors at Cultivate, is fundraising for St Joseph’s Hospice. I have a massive respect for St Joseph’s, the place is a vital part of the Hackney community, the real community and the real Hackney that is… MILD MILD WHERE? What’s Tracie doing? Where’s mild anyway? Today’s blank canvas and a touch of fundraising…. 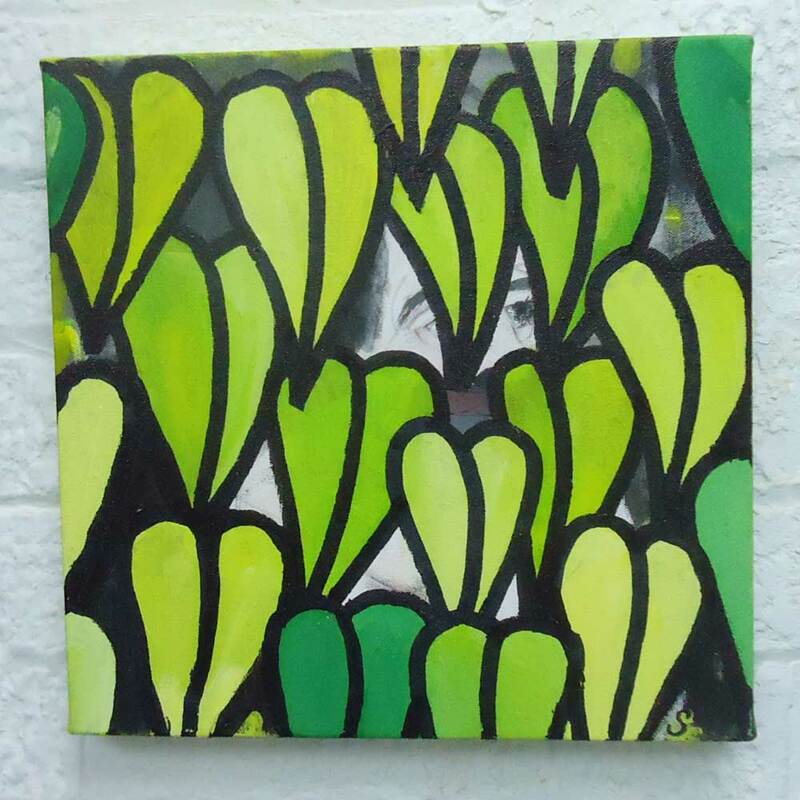 Next Busy painting vinyl today…..